Nearly three-quarters (74%) of online retailers either already have or are developing a mobile strategy, and one in five boasts having a fully-implemented mobile strategy in place already. Interestingly, the report forecasts $170,000 per online retailer is expected to be spent on mobile sites this year with larger retailers spending much more. ”Mobile investment is modest now, but we see that it will pick up in the future, especially among the biggest brands that have already invested significant amounts in their mobile operations,” said Sucharita Mulpuru, Vice President, Principal Analyst, Forrester Research, and lead author of the report. Forrester noted that search advertising will continue to command the largest portion of US online retail budgets this year, coming in at 40 percent, while email and affiliate marketing will also command large portions, the report notes. Social marketing is also fast coming to the forefront, with 80 percent of online retailers planning to invest- but ROI “remains murky.” The same can’t be said about mobile advertising, where ROI is easily measurable and obtained. While Mobile isn’t leading the way on advertising, the ability to obtain an accurate ROI easily will only continue to enhance the amount of resources people dedicate to it. 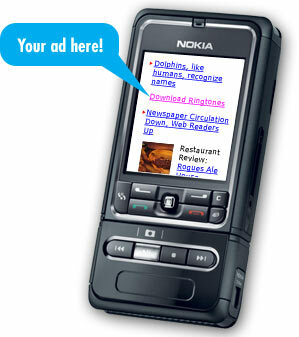 Is your business using mobile advertising and if so, how and what success are you seeing?